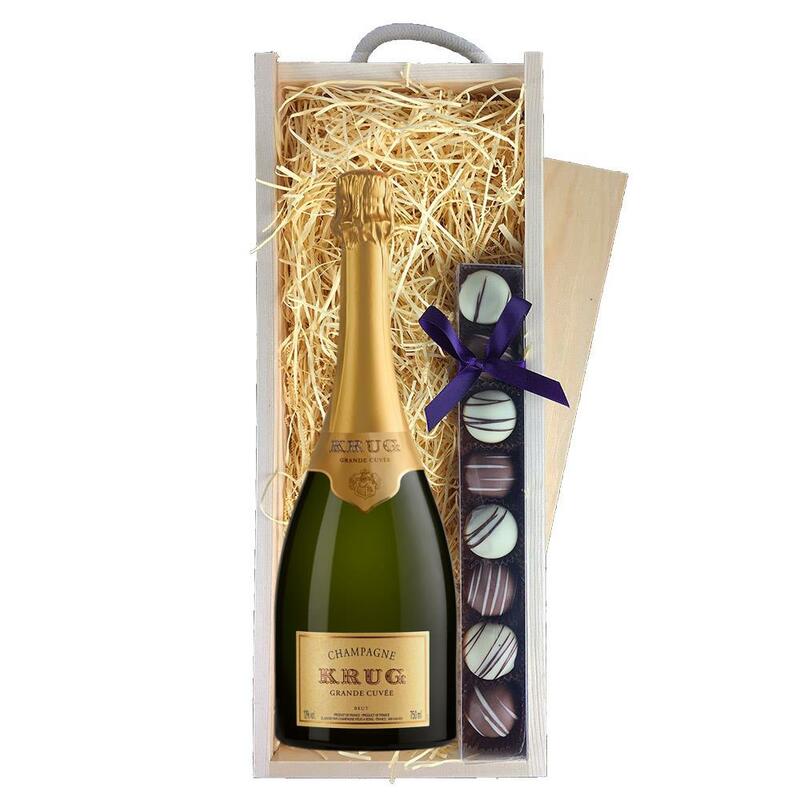 A single bottle of Krug Grande Cuvee Edition 166 NV 75cl 75cl and a single strip of fine Hand Made Heart Truffles(100g) Presented in a wooden gift box with sliding lid and lined with wood wool with a Gift Card for your personal message. Krug Grande Cuvee 75cl NV Champagne Bottle - Krug Gift Box One of the supremely great champagnes the non-vintage Grande Cuvee is probably the most consistent wine from the region. There is no formula or recipe for Krug Grande Cuvee. Each year the Krug family meets to recreate their Grande Cuvee. 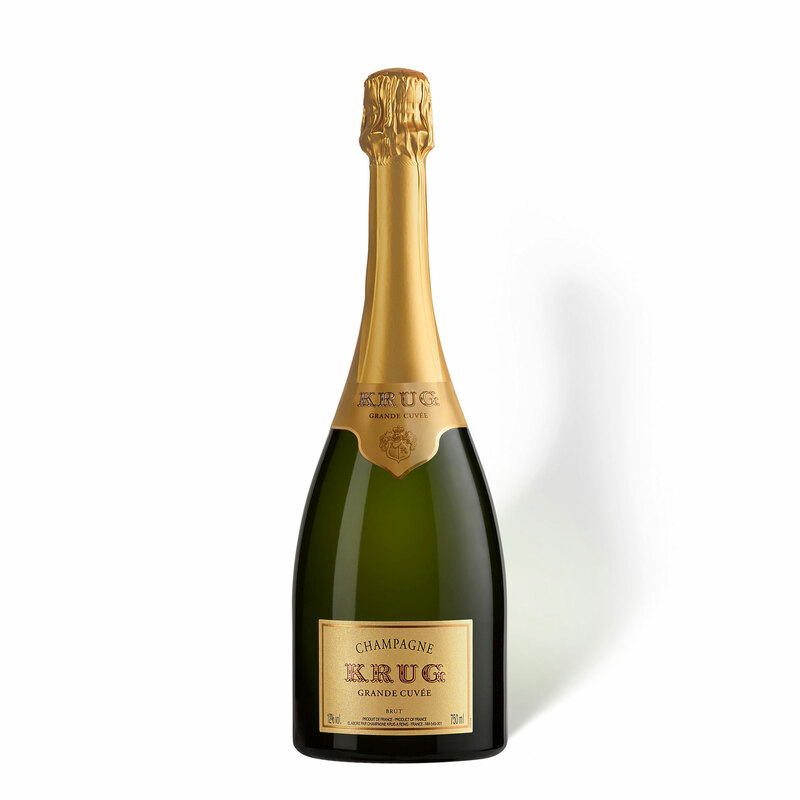 This is done with careful attention to the minutest detail so that six years later it is in perfect continuity with the previous Krug Grande Cuvee. Majestically sublime! A wonderful creamy bouquet leads to a magical combination of richness and balance on the palate. The long lingering finish is both nutty and toasty always ending with a final flourish of freshness leaving one longing for more!25-35 Chardonnay 45-55 Pinot Noir 15-20 Pinot Meunier Sending a bottle Krug Champagne gives any gift a feeling of Excellence. This product is hand packed onsite by Gifts International, and is not affiliated with any other brand. Gifts International is responsible for this product combination/set.